Last week I reviewed this very funny novel by Kathryn Player. It struck a particular chord with me being set in a school and the fact that the author is a teacher herself. I really wanted to find out more about her and also whether there is a sequel on the way or not. She was kind enough to agree to be interviewed and here is the result of that-enjoy! 1) First question-bit of a cliche-how did you get into writing? Like many people, I always wondered whether I could ever write a book and for many years I had no idea what to write. Then, once I was married, the interrogation about when was I going to have children started and then I had something I could feel passionate about: women feeling the pressure to have children became the premise of my book. 2) Do you write full time & if so have you always done so? Before my twin daughters were born, I used to get up at 5.30 in the morning and write for an hour before going into work. This was the writing routine I had whilst I was writing 'Moody not Broody'. Now, after promoting and taking part in twitter chats, I write when the girls are in bed. I never have that flash of inspiration; sometimes I feel I bash out words on the laptop and then some time afterwards I shuffle it all and then cut and cut until all the flabby bits are out. 3) Do you have a particular writing style or genre that you prefer? I love writing comedy. I love reading comedy. I guess my writing has an 'easy read' quite chatty style. A lot of friends have said that when they read 'Moody not Broody' they can hear my voice. 4) How do you develop your characters are you write? Are any of them based on real people? 5) what was the inspiration being Moody Not Broody? When people kept asking me 'when are you going to have children?' I wanted to ridicule the idea that just because a woman is married, she MUST want children. Most women want to further their career or just have fun, and having children can be the furthest thing from their minds. 6) what is your writing process? Do you map it out? Write a bit at a time? When I have an idea for a book I write out the synopsis and then look at it and change it several times. Then I start to write. I used to map out a detailed plan but I don't do that anymore because the characters would always lead me in different directions. 7) what kind of research did you do before/during writing Moody Not Broody? Was it hard making your school setting true to life? Because I was working as a teacher whilst writing 'Moody not Broody' I had all my research in front of me, day in and day out. They do say 'write what you know' and at that time I was a Special Educational needs teacher trying to find my way around engaging difficult children. 8) do you have any plans to develop your novel further, write sequels or turn it into a series? I'm currently thinking about the plot of the sequel to 'Moody not Broody' which has been great fun, already. 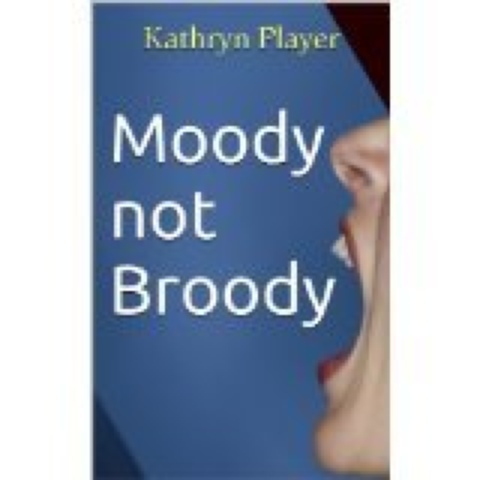 I didn't want to write a sequel before I knew what people thought of 'Moody not Broody'. Thankfully, people have really related to Emma and so I think it would definitely be worth my while writing a sequel. 9) how much attention do you pay to the reviews that you get? I look at every review, carefully, because if people have taken the time to write a review they deserve my time in reading it. Even if it's a negative one, I think it's important to read through them all in order to develop as a writer. 10) are your friends and family supportive of your writing? My friends and family are extremely supportive of my writing. My husband, in particular, has been an absolute legend: he designed my front cover and my Facebook page, and every time I write something new he always reads through it and tells me what he thinks. 11) which other authors inspire you or are there any in particular you enjoy reading? Indie authors like Amanda Egan inspire me because she works relentlessly for her success and is really supportive towards other writers. Nick Hornby is a favourite author and 'Life of a Slummy Mummy', by Fiona Neill, is so funny and was the book that inspired me to write a humourous novel. 12) Finally-what are you working on right now? Yesterday, I found a sitcom on my computer file that I was writing two years ago which, even now, I believe has potential. Therefore, I plan to edit the script and turn it into a series of 6 short stories about a group of women who work in a charity shop. Each short story will be about the same group of characters who all have their own story which interweaves with those of the other characters. It's called 'Second Hand'. After that, I shall write the sequel to 'Moody not Broody'. Thanks so much to Kathryn for this interview. You can see my review of Moody Not Broody here and click here to buy yourself a copy of her fabulously funny novel! Lying to Meet You by Anna Garner Cover Reveal!